Dynamic Vocalist Evelyn Wright pays Tribute to the Late Great Nancy Wilson Live on the Nighttown Stage! Featuring: The David Thomas Trio. 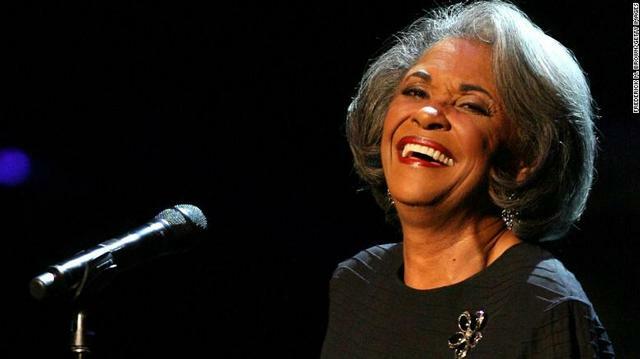 Nancy Wilson was an American singer whose career spanned over five decades, from the mid–1950s until her retirement in the early–2010s. She was notable for her single "(You Don't Know) How Glad I Am" and her version of the standard "Guess Who I Saw Today". Wilson recorded more than 70 albums and won three Grammy Awards for her work. During her performing career Wilson was labeled a singer of blues, jazz, R&B, pop, and soul, a "consummate actress", and "the complete entertainer". The title she preferred, however, was "song stylist". Evelyn Wright has been a professional vocalist for over twenty five years with experience in Jazz, R&B and Pop styles of music. Evelyn is a native from Cleveland, Ohio, and was voted Best Female Vocalist in 1985 in conjunction with WCPN radio station. She is also the winner of Most Promising Female Artist and Favorite Female R&B Singer 1993 by Midwest Urban Music Awards. Evelyn has toured throughout the United States and Canada performing in the top hotels, nightclubs, and concert halls. Evelyn has also recorded with several international recording stars including Phillip Ingram and Gerald Albright. Dave Thomas is a most talented piano and organ player. A native of Youngstown, Ohio, Thomas was an original member of the R&B group, "Sweet Thunder". He has also performed with numerous artists including the late James Cleveland, Dizzy Gillespie, Albert Ayler, Jean Carn, David Ruffin, and Grover Washington. His musical involvement also includes musical theater as a writer, performer, and musical director in performances such as "The Living Cross," "The Audition," and "Black Nativity," which have played throughout the United States and Canada. He is also a gifted educator, having worked at The Cleveland School of the Arts, Cuyahoga Community College, Cleveland State University, and Case Western Reserve University. He is the co-author of a book entitled, "A Child's First Book of Spirituals," which is the recipient of the Coretta Scott King Award. Presently, Dave is a music teacher with the Cleveland Board of Education School District, Musical Staff member of The Southeast Seventh Day Adventist, Faculty member of The Cleveland State University, and Minister of Music at St. Timothy Baptist Church. He earned his undergraduate and graduate Music degrees from Cleveland State, Cleveland Institute of Music, Case Western Reserve University, and postgraduate work at the Royal Holloway College in London, England.